1. Taking 40 winks in the middle of the day may reduce the risk of death from heart disease. 2. Stress levels are lower in those who nap. 3. Camile and William Anthony, the authors of The Art of Napping at Work (Larson Publication,1999), believe that a 20 minute nap could improve one's overall alertness and increase productivity. THE NANO-NAP: like when you nod off on someone’s shoulder on the train. THE MICRO-NAP: the 2-5 minute nap helps shed sleepiness. THE MINI-NAP: 5 to 20 minute nap helps to increase alertness and motor performance. THE 20 minute POWER NAP: improves muscle memory and clears the brain of redundant information thus helping with long-term memory. Yes, bed is heaven for me too. I just wish I could squeeze in some naps every day..........maybe tomorrow. I'm a pro at mini and power naps. If I nap longer than 20-30 minutes, I feel worse! Now I just need to work on getting the necessary amount at night... What lovely photos of bedrooms! Those are some gorgeous bedrooms! I can't wait until my sons are older and I can sneak off for a bit and take a nap. Oh, luxury! Yup, I would love to have any of those bedrooms! What beautiful places of rest! Napping in one of these spaces would be lovely! Love these bedrooms. Thanks for sharing them and the great information about the importance of a nap..
My friend, you have sucessfully convinced me that I should nap in the afternoon! Ohhh wait, I already nap in the afternoon...but now I don't have to feel guilty!!! Hehe! 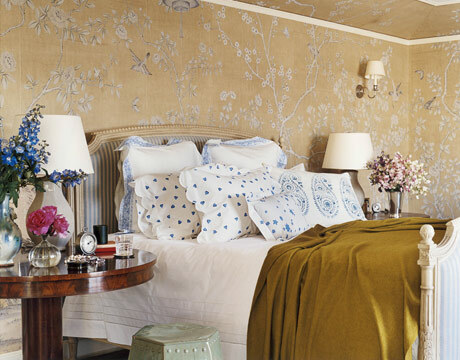 Oooh...love all the pretty bedrooms! Love, love, LOVE the bed in that last photo...and the pretty white, soft pink and brown color combo!!! Ohhh yes, I could definitely nap in that pretty room!!! Thanks Natasha for this timely post. I am in meed of an afternoon nap. I wish I could enjoy a power nap, but I am not able with my busy schedule. Thanks dear friend for stopping by my blog. Have a great morning!